Sadly I have to report that the founder of this group Jose De Sacadura passed away this morning. He was the life and soul of this group but also wanted the members to participate. I and the other Admin members will never do the job Jose did but we will try. 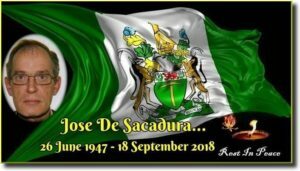 Jose sala gahshle – go in peace brother you were a man among men and a true comrade in arms.